MICHAEL MASSENBURG has completed public art projects for California State University, Dominguez Hills, ESPN Zone - Disney (Baltimore and Anaheim), Sickle Cell Disease Association of America (Washington D.C.), Central Avenue Jazz Festival (Los Angeles), Dana Point Jazz Festival (Dana Point) and Los Angeles Southwest College. 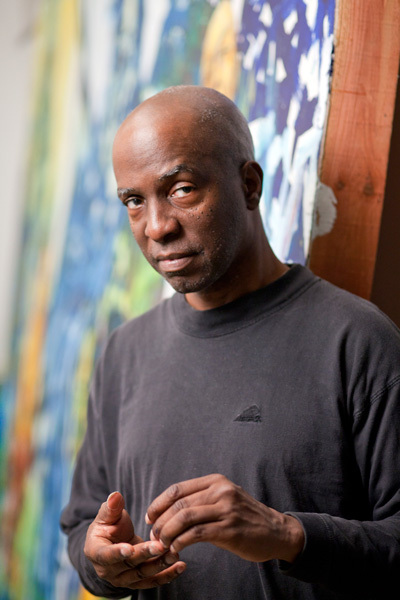 His work is in the permanent collections of the Museum Boribana (Dakar, Senegal), Art Kumba (Tamabacounda, Senegal), Watts Labor and Action Committee (Los Angeles) and the City of Los Angeles Department of Cultural Affairs. Michael has received grants from the California Arts Council, California Community Foundation, and the George Sugarman Foundation.